Come and help less advantaged youngsters go to sea by raising funds for this inspiring marine programme! wine, beer & soft drinks included. Cash bar for other beverages. Finger food. kindly requested. Regret, no tickets at the door this year. The Marine Inspirations programme provides young people from around the world – who would otherwise not have the opportunity – with an insight into careers in the super-yachting and maritime industry, developing a range of seamanship skills and industry connections to improve their prospects. For the past 21 years the Lawhill Maritime Centre www.lawhill.org has helped students from financially disadvantaged backgrounds embark on successful careers in the maritime industry by providing them with an industry-focused education while still at school. Lawhill receives no state funding and is reliant on industry and individual support to fund its operations and provide student bursaries. Are you ready for the Best Charity Marine Party? Come and help less advantaged youngsters go to sea by raising funds for this inspiring marine programme! All proceeds to charity. Entertainment: Live music by Anthony Just and friends. Auction and raffle plus any other fun things that we can think of! FOOD AND DRINK INCLUDED: An 18 litre bottle of ‘Can Feliu’ red wine served from a hand-built Gun Carriage. Cash bar for other beverages. Finger food from Restaurant Taronja Negre Mar. Reservations necessary due to numbers-planning, with payment to our bank account kindly requested. Regret, no tickets at the door this year. As Marine Inspirations counts down to its annual Big Bottle of Wine Party fundraising event at the Royal Cape Yacht Club on Saturday 9 December, we look back on three years of a truly inspiring initiative that has already changed the course of countless lives. Marine Inspirations came into being in 2014 after a meeting between Anthony Just and Phil Wade. Over a long lunch at Bindi’s Indian restaurant in Palma de Mallorca, the two South African super yacht captains discovered they had a shared vision to give something back after enjoying successful careers in the industry themselves. They founded the project to open up similar opportunities to young people from less privileged backgrounds and later that year they organised for two young South Africans to take part in the Ibiza Rendezvous Super Yacht Regatta. To date, a total of 32 youngsters have taken part in Marine Inspirations programmes, which have included visiting a wide range of super yachts and marine businesses, learning practical seamanship skills and racing at prestigious regattas both in the Mediterranean and the Caribbean. The aim is to boost the youngsters’ employment prospects upon graduation by giving them both hands-on skills and experience and an insight into the wide-ranging opportunities within the yachting industry along with invaluable connections through Phil and Anthony’s extensive networks. Three years since the inception of Marine Inspirations, co-founder Phil Wade reflects on the impact the programme has had, not only on the lives of the young people who have taken part, but also on the perceptions of people within the industry. “The one thing that we never expected was the change that one of these trips could make to an individual physically and mentally. We have heard time and time again from the teachers and others back in South Africa that they come back “changed” in that they are more confident and enthusiastic as well as generally more determined to succeed. This had been a major by-product that we did not envisage when we started,” Phil said. Phil was born in Purley, England but arrived in Cape Town on his third birthday with his emigrating family and grew up under apartheid. 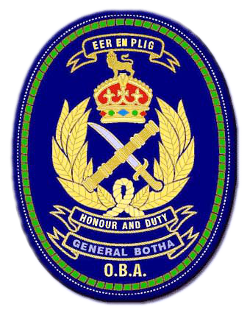 He started his career in the Merchant Navy after a harsh stint at the General Botha merchant marine training college where corporal punishment was rife, an experience he credits with “turning his life around”. His career at sea took many colourful turns including stints as a spear fisherman, a self-confessed ‘sea gypsy’ delivery captain, racing on behalf of Australia, Hong Kong and Papua New Guinea in prestigious regattas and he was on board Simon le Bon’s Maxi Drum as Skip Novak’s mate when she capsized in the 1985 Fastnet Race after her 14-tonne keel sheered off the hull. Phil retired in 2015 after being the Captain of the 45-metre super yacht Timoneer, as well as her predecessor, for a total of 25 years whilst the yachts were under the ownership of an American family. “When we started Marine Inspirations it was a case on Anthony and myself giving something back after having such a wonderful life in yachting and ending up comfortably retired here in Mallorca. The idea was to show underprivileged youngsters who were planning to go to sea another side of the marine industry as well as to give them hands-on experience on a boat,” Phil said. 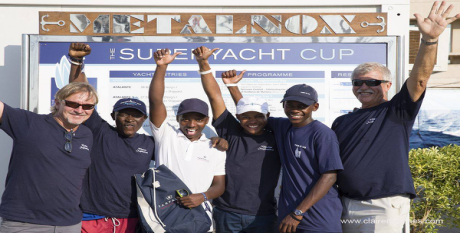 Marine Inspirations has a close relationship with Lawhill Maritime Centre in Cape Town, which selects the majority of the young people who take part in their programmes from amongst their pupils. The college, which is attached to Simon’s Town School, supports job creation and employment in South Africa by providing 15 to 18 year old students with maritime-related knowledge and skills to increase their prospects for post-school employment or admission to further maritime-related studies. In October a group of five past and present students from Lawhill completed the latest two-week programme in Mallorca organised by Marine Inspirations. Aubrey Sosibo, 23, was the eldest of the group having graduated from Lawhill in 2012. He now teaches maritime economics at Sithengile Secondary School in the township where his family still live. He said it was a “wonderfully amazing opportunity” to be part of the programme and he was returning home “a better person”. “It was a mind-blowing experience for me setting foot on a super yacht when I reflect on where I come from,” he said. Brought up by his single mum after his dad died when he was four years old, Aubrey received the Dean’s Award for academic excellence at Lawhill. He described his experience in Mallorca as “mind-blowing” and said that he was returning to South Africa with a “completely new mind set”. Being committed to inspiring others back in his township, Aubrey was already looking forward to encouraging others through his experience. He said young people in his township grow up surrounded by high levels of drug abuse and teenage pregnancy, and seeing someone from their own community not only succeed, but continue to live and work there has “a major impact”. “These opportunities don’t only benefit us who come here but they also go a long way in inspiring our circles of friends, colleagues and communities,” he said. “For me Marine Inspirations is all about reviving hope. They have hope in South Africa and to know that people believe in us brings out the best in us. Only five of us were lucky enough to come here but, with the ripple effect, our small group will have more impact than you could ever imagine,” he said. Another of the participants Siphuxolo “ASAP” Mhlaba, 17, grew up with 11 siblings including his twin sister in a small village in King William’s Town in the Eastern Cape. Given he had never been to an airport, let alone flown on a plane, Siphuxolo said he was “literally ecstatic” about the prospect of his first trip overseas when he found out he’d been selected. “My parents were very proud of me as I was the first child in the family to travel to another country and my mom was even crying on the phone when I told her the news,” he said. 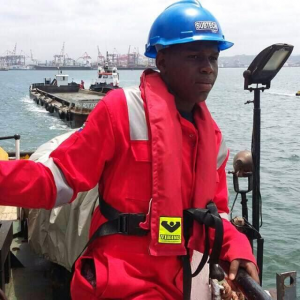 Nkazimlo Mtshixa, 17, has his sights set on becoming South Africa’s youngest captain after taking part in the Marine Inspirations programme. The third-year student at Lawhill said his experience in Mallorca had been “mind-blowing, fantastic and amazing” and had inspired him to pursue a career in the yachting industry rather than the commercial sector. “I’m so grateful to Marine Inspirations for helping us not only to improve our own futures but also those of our families, our communities and our country,” he said. A highlight of the two weeks for Nkazimlo was the day he acted as captain under the watchful eye of Anthony Just as he taught the group a range of sailing skills and practical seamanship in the Bay of Palma. “I was scared at first but Captain Anthony put his trust in me and that gave me a big confidence boost. Knowing that someone had that faith in me made me want to prove myself,” he said. “Marine Inspirations is more than a success and I’m so grateful to Captain Phil and Captain Anthony. They are changing so many lives – not just ours but those everybody around us. It makes us strive to be our best,” he said, adding: “Great things will come out of this”. Marine Inspirations encourages individuals from within the industry to directly support a young person. This is a fundraising model that Phil is keen to pursue as he believe it benefits the donor as well as the beneficiary as they see the tangible effect of their contribution. Phil stresses that the inspiration is not a “one-way street” as he sees how much his peers get from supporting young people through Marine Inspirations. For Phil, there is one young person amongst the many who epitomises what Marine Inspirations is all about. His name is Smangaliso Dlamini, and he was introduced by Sail Africa in Durban, which runs sailing programmes to improve the life chances of young people. “Smangaliso was one of the lads who came to Mallorca in 2016 when he was 17 and when he got back they could not believe the difference in him. When he first got involved with Sail Africa he was living in a shack in one of the worse areas of Kwa Mashu township and both parents were deceased. He lived with ten others in a two-room shack supported by his grandmother, the only income being a small hand-out from the government each month,” Phil explains. “He was shy and introverted and Jackie Barnard [from Sail Africa] took him under her wing. Everybody was amazed by what a difference two weeks had made but to top it all off Marine Inspirations inspired another super yacht captain to fund a bursary to pay for him to go to university. Since then Smangaliso has proved his worth by being one of the top students in the whole province and is now self-assured and also helping others around him,” Phil said. Despite witnessing many success stories such as that of Smangaliso over the last three years, Phil acknowledges that charity is “a two-sided coin” in that it benefits the one receiving while it makes the person giving feel good too. “I strongly believe that we need to educate and improve the lives of a great number of the poor people in South Africa if the country is not going to go the same way as most other African nations. 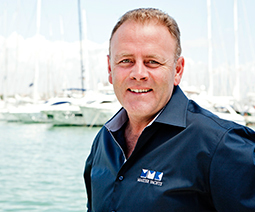 Richard Masters, Managing Director and Partner at the international yacht management consultancy Master Yachts, is a long-term supporter of Marine Inspirations and has followed the progress of the ground-breaking project since its inception in 2014. Richard, who lives in Mallorca with his wife Justine, was born in Cape Town and arrived in Palma at the age of 19 where he worked his way up the ranks in the yachting industry from a day-worker and deckhand to captain before setting up Master Yachts in 2001. The company now employs 32 industry specialists and operates out of five offices around the globe. He explains how he has been involved with Marine Inspirations and reflects on his motivation for supporting the initiative. “I need to put something back into the country I was born and brought up in,” Richard said. The South African has supported Marine Inspirations in various ways over the last years including backing fundraising events and hosting participants in his offices to introduce them to careers in yacht management services. Additionally, in 2015 Richard pledged three years of financial support for 16-year-old Menelisi Mkhize from Durban, one of the Marine Inspirations participants he met during his visit to Mallorca two years ago. Master Yachts is funding three years of education for Menelisi at Lawhill Maritime Centre in Cape Town including accommodation and living costs and flights back to visit his family during his studies, something Richard deemed as highly important. Richard met Menelisi at a traditional South African braai hosted by Marine Inspirations co-founder Phil Wade and his wife Anne, just before the group flew home from Mallorca at the end of a two-week programme in October 2015. Richard said he decided to fund Menelisi’s studies after being “very moved” by his story of growing up as part of a “desperately poor family” in a township, adding: “I was really impressed by him and he’s proved to be a beam of light”. Over the last two years Menelisi has logged excellent academic results and is looking forward to a career in the maritime industry. Richard says he’s disappointed that more people within the industry do not choose to support youngsters like Menelisi. He said that given the weakness of the South African rand and the level of salaries earned by those working in the super yacht industry, the sum required to pay for an education for a youngster like Menelisi is “surprisingly low”. “Marine Inspirations has changed the lives of 32 kids, and you can multiply that by a factor of at least five when they succeed as they will be able to feed their whole family. That’s the way things work in South Africa. Then there’s the difference it makes to everybody they come into contact with when they get back home. It’s hard to even quantify that impact,” he said. “Writing the cheque is easy compared to all the tireless work that goes on behind the scenes running Marine Inspirations. I couldn’t do what they’ve done. Ultimately, they’ve inspired me and that’s why I support them,” he said. In just three years, Phil Wade and Anthony Just have proved just how much two individuals can achieve, not only in changing the course of many young lives, but also in altering the perceptions of many within the super yacht industry. Whatever the future holds in store for this unique initiative which has gained huge momentum in its first three years, there is no doubt that Marine Inspirations will continue to inspire and leave a lasting legacy for many years to come. Tony Cox and Steve Newman, backed by the famous Tananas Band will be getting together again especially to perform at the BBWP! 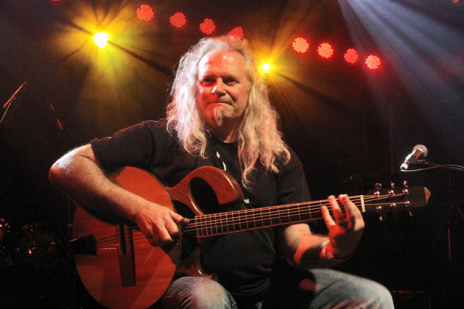 Born in Zimbabwe, multiple award-winning South African acoustic guitarist Tony Cox has become a veritable icon of the instrument in his own country and has been described as one of South Africa’s finest musical exports. For a number of years now he has undertaken regular forays into Europe and North America and has seen a loyal fan-base begin to develop in the UK, Germany and Canada and now he is performing at the BBWP! ‘We are really excited about this news,’ say Phil Wade and Anthony Just, of Marine Inspirations, organisers of this fun-filled event of delicious food, great entertainment and excellent wine. The event raises funds to support students at the STS Lawhill Maritime Centre in Simon’s Town where they are studying for a maritime career. See www.MarineInspirations.org. There will be an impressive auction as well as raffles with top-class prizes to be won. 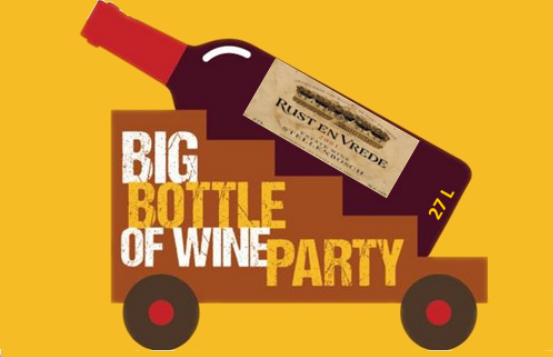 The Big Bottle of Wine Party (BBWP) originated on the Spanish Island of Mallorca, where it is billed as the ‘Best Marine Charity Party’ but this is the Fairest Cape in all of the World and we will show them how to party! Tony Adraens of vintage Piggy’s fame will be bringing his own brand of retro music and Rocking the Regatta Room at the BBWP from 10pm! The ticket price of R750 per head provides access to the Caribbean -themed evening on Saturday 9th December from 6pm onwards in the Regatta Room at the Royal Cape Yacht Club. It is a chance to dress up in grass skirts, bright shirts, board shorts and sarongs. The price includes everything except malt and spirit-based drinks which are available at club prices. Prizes for the best dressed or most colourful /outlandish outfit. Live music by Tony Cox and friends and afterwards, a retro disco with DJ Tony Adreaans of vintage Pig & Whistle fame. Come and dance the night away Caribbean style. Linda on 083 440 1175, lindabeatty@iafrica.com, OR Dorria on 082 568 5498 / dorria@communicators.co.za . Alternative payment options can be arranged if this works better for you by contacting any of the people above. Please support a really good cause and have FUN. Should you wish to have your own corporate table of 10 you will receive a discount and will be able to fly flags or put up some promotional material. Homero being christened here by Anne Wade of Marine Inspirations. The inaugural BBWP held in Cape Town last year was very successful, funds raised were used to purchase an L26 sailing boat, now named ‘Homero’ and berthed at the False Bay Yacht Club to give the Lawhill learners experience on the water and gain practical sailing skills. As we all know, up-keep on boats is expensive and part of the funds raised this year will be allocated to the maintenance of the boat. The Marine Inspirations programme provides young people from around the world, who would otherwise not have the opportunity, with an insight into the super-yachting and maritime industry, developing a range of seamanship skills and industry connections to improve their employment prospects. 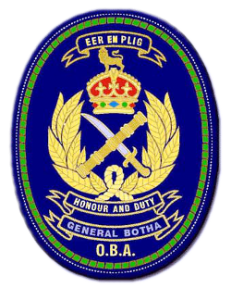 The SATS General Botha OBA Bursary Fund provides the infrastructure within which Marine Inspirations events can happen in South Africa. The Fund provides financial and mentoring support to students studying towards a career in the marine industry. This support is provided in particular to students at the Lawhill Maritime Centre who are undertaking Tertiary Education towards a career at sea. The Lawhill Maritime Centre has, for the past 21 years, helped students from financially disadvantage backgrounds embark on successful careers in the maritime industry by providing them with an industry-focused education while still at school. Lawhill receives no state funding and is reliant on the industry and individual support to fund its operations and provide student bursaries. … in Mallorca maybe, but this is the Fairest Cape in all the world! We promise a fun-filled evening of delicious food, great entertainment, excellent wine, an auction and raffles with top-class prizes to be won! Dress: Welcome the Summer with bright shirts, sarongs and a Caribbean theme. Dress the part and join in the fun! Price: R750 per person which includes a sparkling wine cocktail, finger supper, Clos Malverne vintage red wine poured from the famous 27 litre BIG BOTTLE and served from a gun carriage. White and rose wine will also be provided. Cash bar for refreshments other than wine and soft drinks. 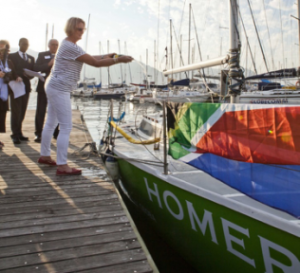 Funds raised at the very successful inaugural BBWP held in Cape Town last year were used to purchase an L26 sailing boat – named ‘Homero’ – now berthed at the False Bay Yacht Club and used for teaching practical sailing skills to the Lawhill Centre learners . As sailors all know, upkeep is expensive and part of the funds raised this year will be allocated to the maintenance of the boat. Come and help less advantaged youngsters get to sea by raising funds for this inspiring marine programme! Spread the word, share this with your friends. students studying towards a career in the Marine Industry. This support is provided in particular to students at Lawhill Maritime Centre who are undertaking Tertiary Education towards a career at sea.